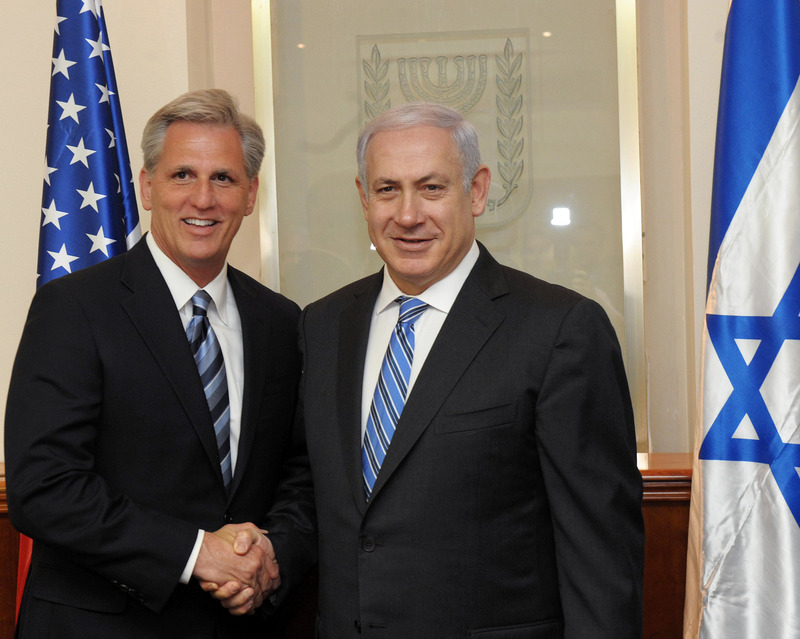 House Minority Leader Kevin McCarthy backed a resolution to condemn the rise of anti-Semitism and anti-Israel sentiment in politics on Friday. The three Republican members of Congress to introduce the resolution were New York Reps. Lee Zeldin and Elise Stefanik, as well as North Carolina Rep. Ted Budd. It specifically called out Nation of Islam leader Louis Farrakhan, the leaders of the Women’s March, as well as Democratic Reps. Rashida Tlaib of Michigan and Ilhan Omar of Minnesota, who have expressed their support for the anti-Israel Boycott, Divestment and Sanction (BDS) movement. His office also confirmed that he supports the resolution. Aside from being called out for supporting the BDS movement, Tlaib was also asked in the resolution to explain her relationship with Abbas Hamideh, a man who was at her swearing-in ceremony and has previously expressed his belief that Israel does not the right to exist. “Congress must immediately and unequivocally denounce this hatred in the United States and around the world, standing in solidarity against racism and discrimination in any form. Last week, the House voted to reject White Supremacy, which I voted YES on,” Rep. Zeldin stated, following the introduction of the resolution. House Speaker Pelosi’s office did not respond to multiple requests for comment.